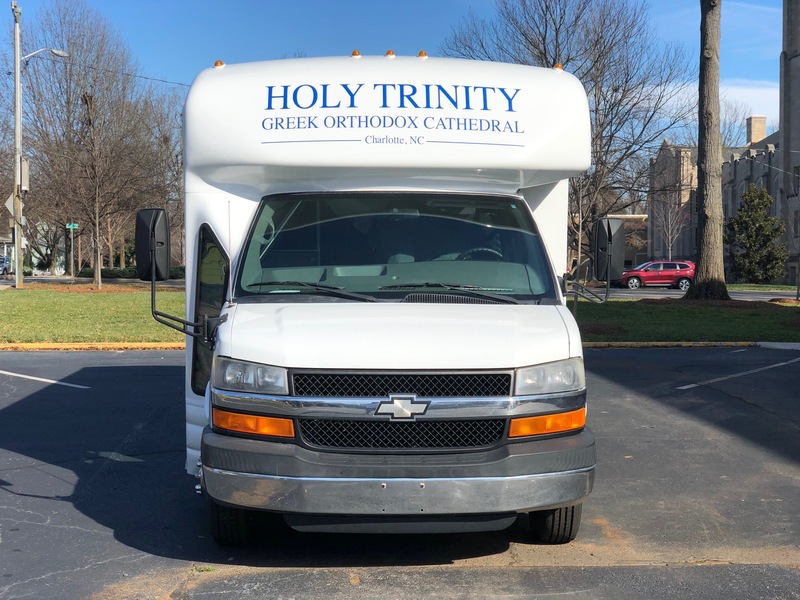 Holy Trinity is known for many things. A staple of the Dilworth community. 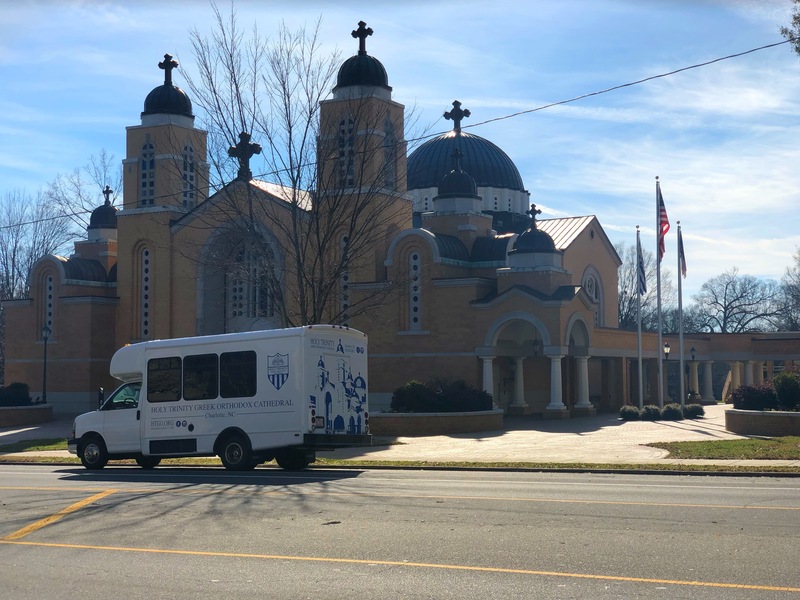 A host to one of Charlotte's biggest festivals: the "Yiasou Greek Festival". 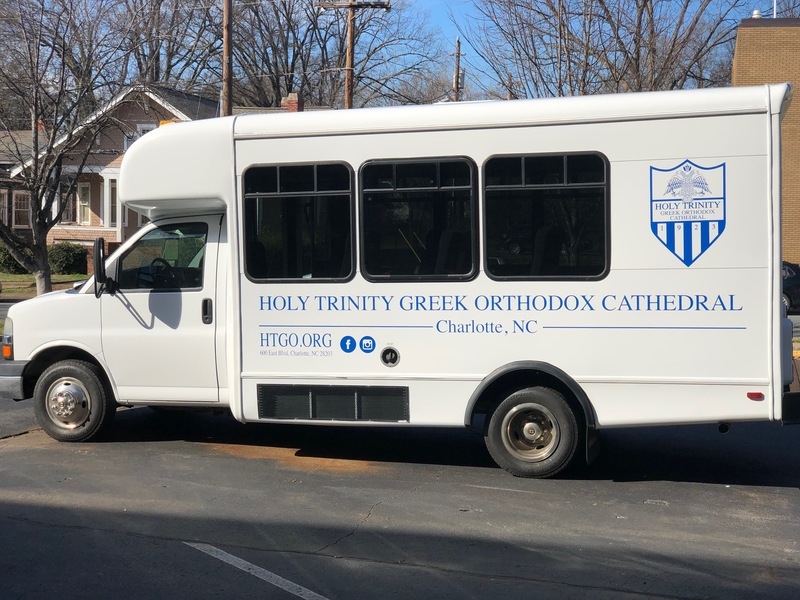 Also known for the original home to Charlottes Greek community. 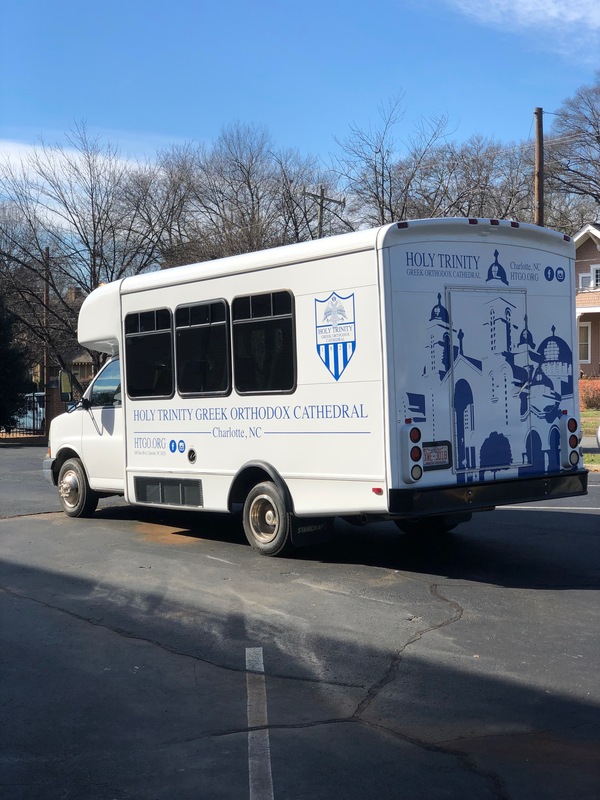 The only vehicle to the church fleet was the church bus. 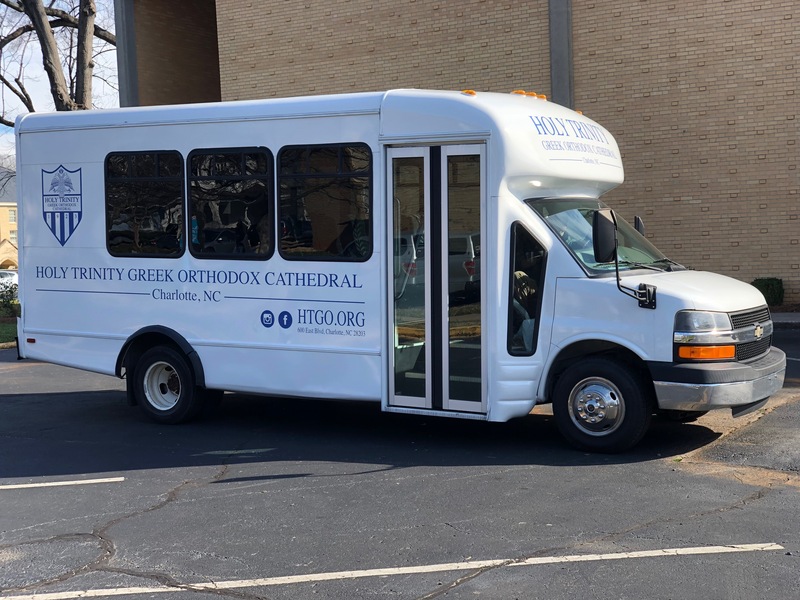 Providing transportation for the elderly on Sundays to attend services and for the youth when traveling to out of town conventions and athletic tournaments is its main use. 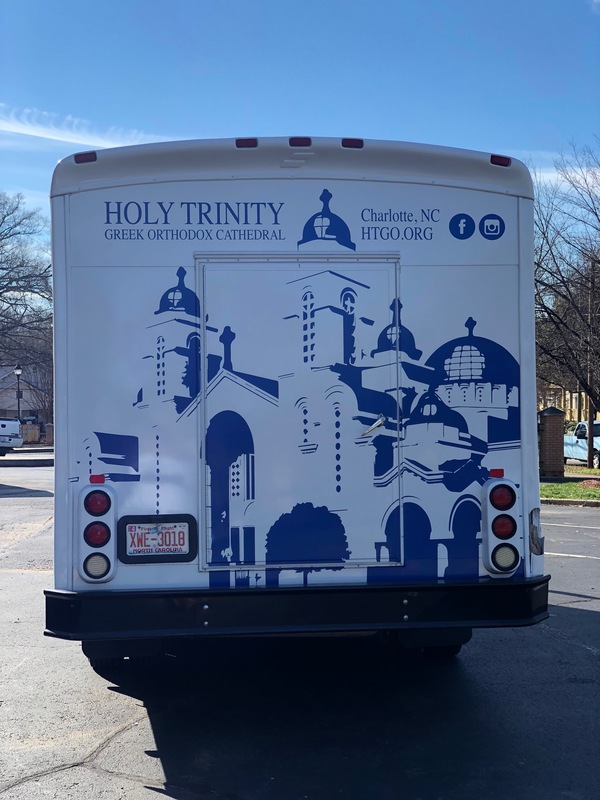 It was only fit to design something so spectacular that the passengers felt they always had a representation of their church when riding on the bus. We created a new layout of the available spaces in the front, back and sides of the bus. We wanted to bring awareness to the website the church has online and icons to signify that they are indeed on social platforms. The crest found on the side is known throughout the facility as it is also displayed in the multi-purpose use gymnasium. It was only fit incorporate that design into total design. Lastly the back. The perfectly modeled shadow representation of the cathedral itself. When completed it showcased a new, vibrant, head-turning design that no other bus in the city matches when it comes to that "WOW" factor.